As you splendid readers no doubt remember, the IndyCar Series has a memorable Boston track record, having crashed and burned last year in its attempt to hubcap the Hub. We’ll pass over in silence the many downshifts IndyCar driver John Casey executed in relation to the ill-fated Grand Prix of Boston, and shift our attention to Dave Caldwell’s sunny side up piece in yesterday’s New York Times. Its recent struggles with attendance and television ratings notwithstanding, Nascar remains the king of racing in the United States. 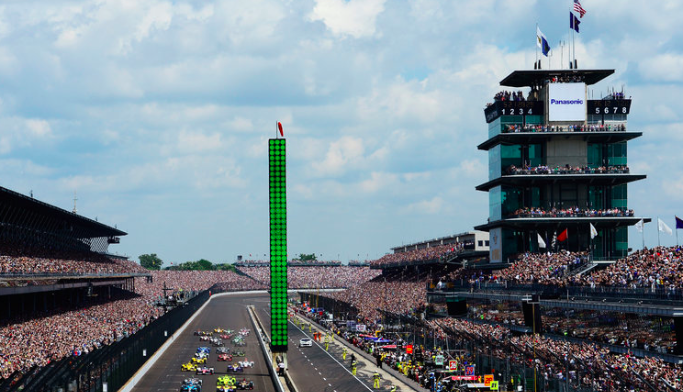 But IndyCar racing, with sleek open-wheeled racers that can turn 220-mile-per-hour laps, appears to have established a foothold after spinning for two decades. [IndyCar chief executive Mark] Miles said six events in 2016 bettered or matched previous attendance records. TV ratings are up by 55 percent in the last three years, with an increase in each of those seasons. Nowhere, however, does Caldwell mention IndyCar’s spectacular flameout in Boston last year. We’d say the Times was spinning its wheels in this instance. This entry was posted in Uncategorized and tagged Dave Caldwell, Grand Prix of Boston, IndyCar Series, John Casey, Mark Miles, Nascar, New York Times, Strand Prix. Bookmark the permalink.